Tamang Heritage Treks – Welcome to ABC Treks Pvt. Ltd. 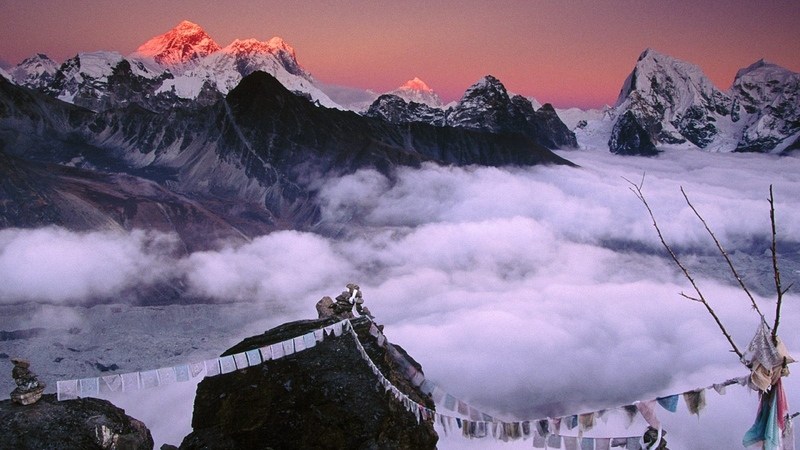 The Tamang heritage trek is a recently discovered trail in Nepal. It is a cultural trek through vibrant Tamang villages in Langtang with breathtaking panoramic views of Ganesh Himal and whole Langtang range which lies in the northern part of Kathmandu in Langtang National Park. This trekking is the perfect way of enjoying your life with awesome memories. The lush mid hill villages of Nepal and the culture of the people who live here are showed in Tamang Heritage trek with towering peaks, generous forests, hanging bridges and random snow leopard sightings in the epic background. 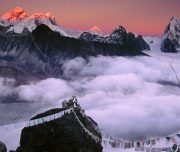 This 11 days route is a great introduction to the beautiful Langtang region and the unique culture of the Tamang community. 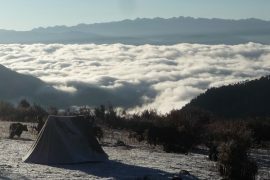 During this treks, you will also discover a gripping Tibetan history and the control of Tibetan culture in this region. You can also see the trading routes of Tibet-Nepal from where two countries import and export goods. People living in this region are mostly Buddhist and grow some hardy grains and vegetables. Their daily activities are agriculture including raising livestock and trade. In this region, people wear attractive colorful costumes and their houses are decorated with fabulous wood carvings. 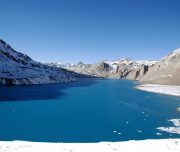 This trek offers dazzling views of snow-capped mountains to make this journey memorable and also trekkers get chances to observe Syabru, Mane and other thrilling local dances at Goljung, Brimdang and Gatlang villages which are located near the Tibetan border. Also, you can experience the famous Tamang Hospitality at Birddim where home stay facilities are provided. After this, we head towards the narrow valley of Kyanjing Gompa at 3,900m down the Langtang Khola relishing magnificent views. Our trekking then ends where it started at the same point of Dhunche in Syabru benshi. Our representative meets you at the hotel and transfer to the hotel. After check in and some refreshments, our senior trekking guide will come to meet you and give you a brief orientation about Tamang Heritage Trek. You can then go for a stroll down the street to get familiar with the neighborhood, have supper and go to bed. This is your first overnight in the valley of temples and cows, probably the most in the world. Overnight at the hotel including breakfast. You stay overnight at hotel in Syabrubesi. You then head north out of Kathmandu driving through scenic foothills and ridgeline vistas to Syabrubesi passing through Dhunche. While passing along the road at the bank of Trishuli River you catch a glimpse of Ganesh Himal, terraces, and green hills. As you pass through Dhunche you feel as if you are heading towards deep land. At the same time, you notice that the road after Betrawati is still under some construction. Stay overnight at our tea house lodge with all meals inclusive. While trekking you get to experience some of the most interesting insights into Tamang culture & their vibrant lifestyles. You can see the scenery from view point especially as you walk through a local village. The cultural show at Goljung and Gatlang makes your trekking a memorable one. Gatlang set high on a hillside among terraced fields is a Tamang settlement. 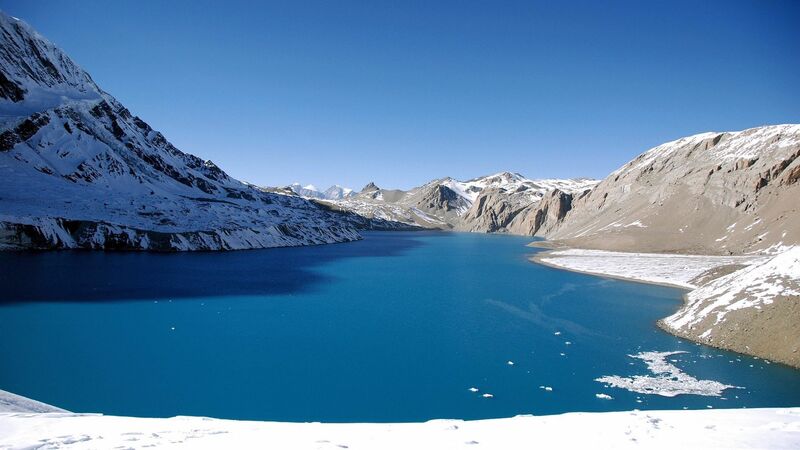 One can visit a Tamang monastery and beautiful Parvatikunda Lake at Gatlang. Stay overnight at our tea house lodge with all meals. 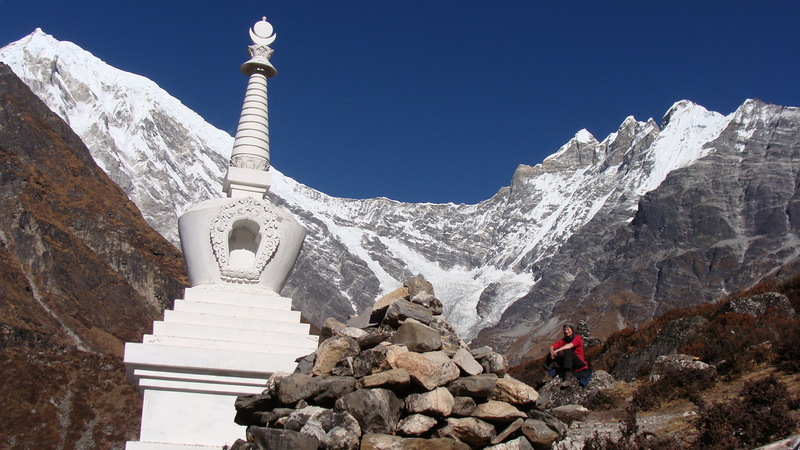 You enjoy the sightseeing of Langtang range and Ganesh Himal. At Tatopani which naturally produces ‘hot water’, you can take a hot bath in natural hot springs with bathing areas right in the laps of the mountains. It is believed that taking a dip in this spring will heal you from your aches and pains. This day’s trekking provides you an opportunity to experience some important facets of the Tamang culture. Stay overnight in our tea house lodge with all meals. En route you may encounter animals like monkeys and deer. The panoramic view of Langtang, Kerung, Ganesh Hima and Sanjen ranges can be distinctly experienced from Nagthali. Nagthali used to be a popular meditation center for the local monks and priests. Another cultural village, Thuman, is popular for its Shamanic performances and beautiful view of Langtang. Beautiful views of the mountains can be seen from every house in Thuman. Stay overnight at our tea house lodge with all meals. This is also a short day where we will stop at Thuman. Since Tamang heritage trails are mostly steep and ascend and descend, it is better to make short journeys and enjoy talking with the people and knowing about their culture. People from Thuman will entertain you by singing and dancing. If you want then you can also join with them. They will help you feel homely with their friendly environment. Overnight at our lodge on full course meals. You can experience the village life of Briddim and enjoy a cultural show performed by community members. You can also experience a home stay and Tamang culture. To mention a little about Briddim, it is a Tibetan Buddhist village in the bosom of Langtang Himal. Around 43 houses are spread in a Z shape. Most of the houses are made up of stone and have roofs of split shake. 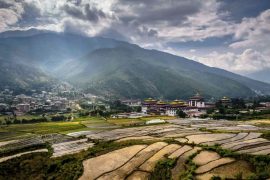 As direct descendants of ancient Tibetan immigrants, the culture and tradition of Briddim closely resemble that of Tibetan villages. Stay overnight at our tea house lodge with all meals. You trek from Briddim to Syabrubesi via Wangel. This day the trail moves along a gently descending path passing through villages, terraces and magnificent views of surrounding hills. Stay overnight at our tea house lodge with all meals. It is a pleasant drive back to Kathmandu with splendid views of hills, mountains, terraces, and villages. You drive along the unpaved road until Betrawati where you will begin to follow a narrow, but the well-paved road. On reaching Kathmandu, you can refresh and have some rest. You can then visit around Thamel at night to chill out a bit. We will have a farewell Nepali cuisine dinner at Thamel. Overnight at your hotel. After breakfast final departure or start a new trip. All the required airport and hotel transfer by tourist car/Jeep. An experienced English speaking trekking guide. Langtang National park entry fees and other essential permits. Required supporting porters for your luggage. Lodges accommodation and full board meals during the trekking. 3 Star Hotel accommodation in Kathmandu city as per the itinerary. All the required transportation by private jeep to trekking ending and starting point. All the trekking crews salary / accommodation / foods / insurance.